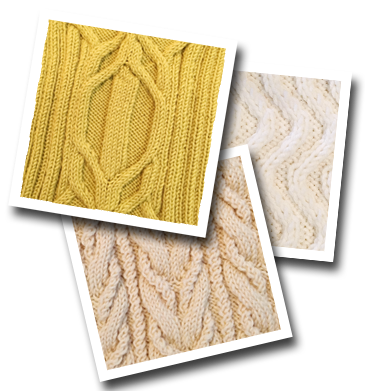 This month, Bridget will be teaching the third class in her Afghan series based on Norah's Vintage Afghan, a sampler afghan made up of cabled squares. Join us for all the squares or just a few - your choice. Bridget will teach a square each month and you will learn many different cable techniques. You can download the free pattern from Ravelry. We will only print the current square for each class. Create Your Own Knitting, Crochet or Weaving Class This class is for anyone from the beginner who wants to learn the basics to the advanced student who would like help tackling a specific project. If you would like to schedule a group or a one-on-one lesson please call the shop ~ we will be glad to schedule a lesson at your convenience.